Cirque du Soleil describes Kurios – Cabinet of Curiosities as « a show that immerses you in a mysterious and fascinating realm that disorients your senses and challenges your perceptions. Kurios is an ingenious blend of unusual curiosity acts and stunning acrobatic prowess ». Stéphane Roy’s set design makes you step into the curio cabinet of an ambitious inventor who defies the laws of time, space and dimension in order to reinvent everything around him. 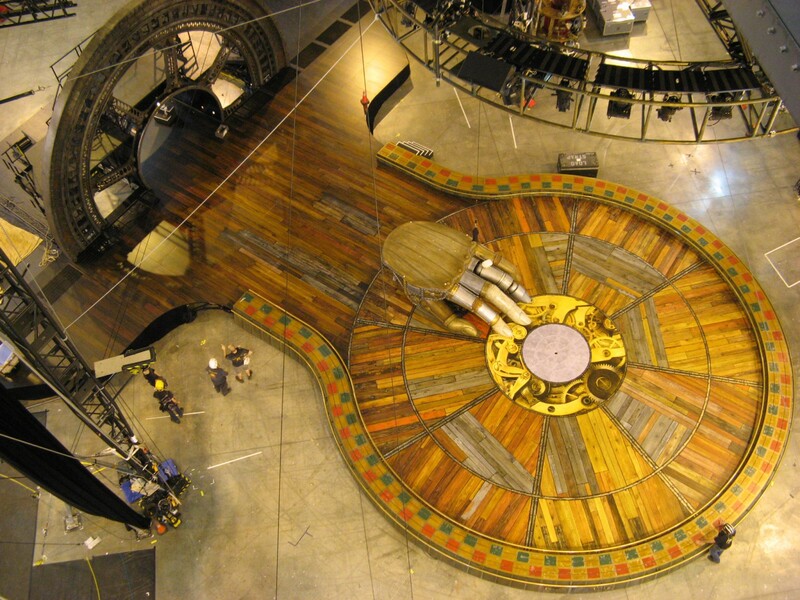 The Kurios stage with its giant turbine meets the usual high level standards and requirements for a Cirque du Soleil production as it was designed and constructed with our patented OST system. 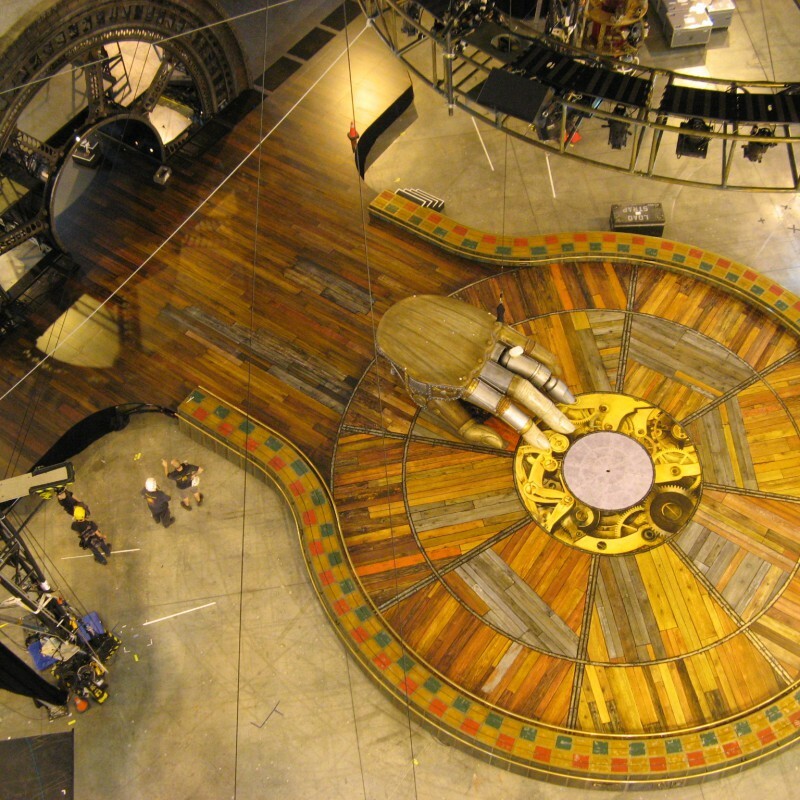 This system is now the standard for all Cirque du Soleil big top productions. 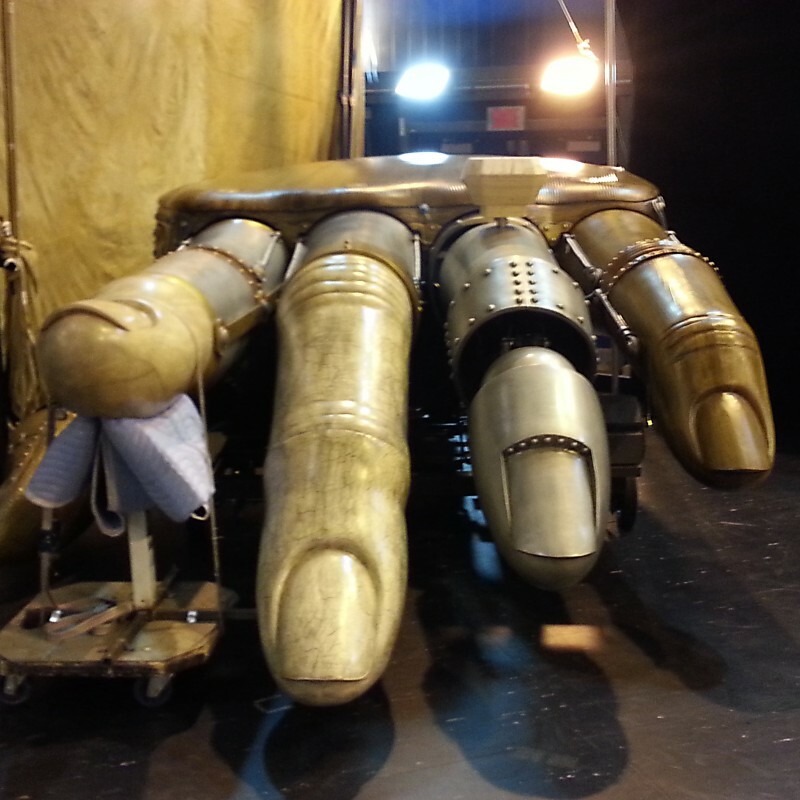 The Russian Cradle, the masts for the “Acro Net” number and the mecanical hand, the acrobatic elements of Kurios, all represented big challenges in their design and fabrication. The results are stunningly spectacular meet or exceed all safety requirements.